54-inch backboard/rim combo for home basketball setups. 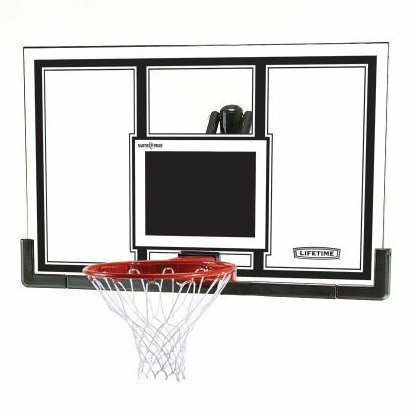 Pro-look backboard made of sturdy Makrolon polycarbonate for shatter-proof action. Arena-style Slam-It Rim with wraparound bracing and double-compression springs. Powder-coated black-hammertone-finished steel frame for improved rebound. Fade-resistant, UV-protected graphics; includes nylon net; 5-year warranty.